With only one day of shooting in Verona, we had to make it up to the Castel San Pietro to get the best view over the city. That one day was rather foggy, but you have to make the best of it. Since I wasn’t happy with the lighting conditions, I decided to play a bit more in the post-processing. 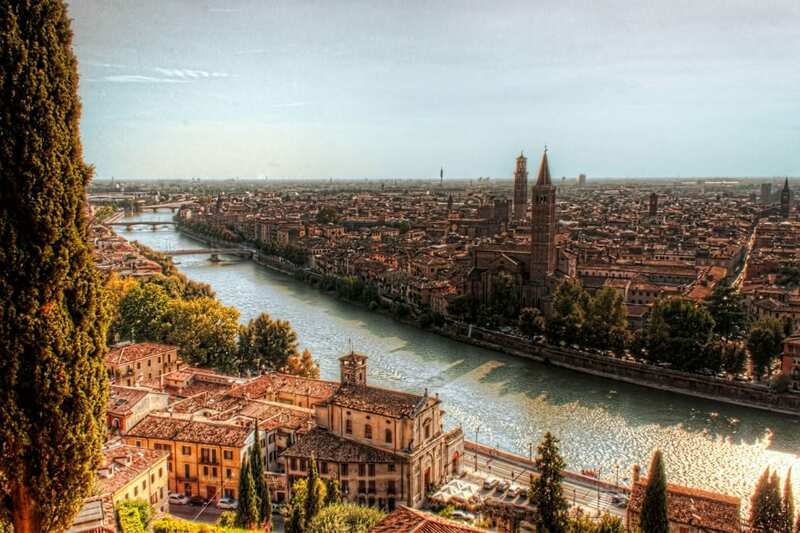 Verona is such a beautiful Italian city. 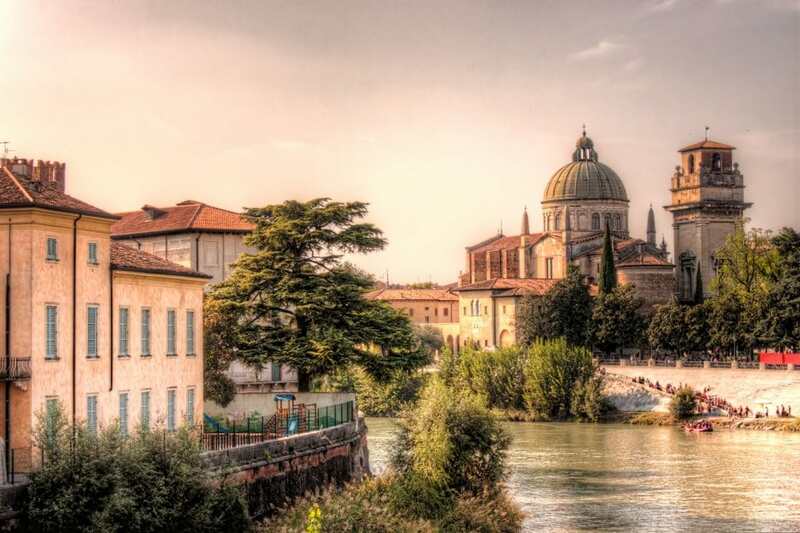 Founded more than 2500 years ago, Verona is a sleeping beauty, crowded with masses of tourists from all over the world. That’s why I enjoy the photos now even more, as they display Verona in a calm way, much calmer than the actual stay there has been. The church in the background is called San Giorgio in Braida and one of many in this old city.